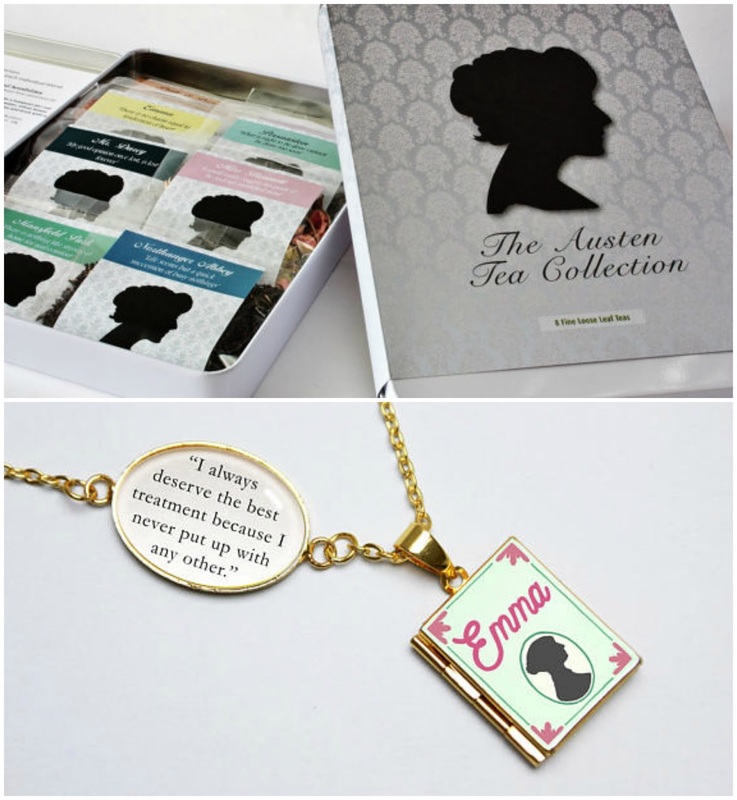 Enter this giveaway for a chance to win a Jane Austen Selection tea box with 8 flavors from Rosie Lea Tea and an Emma quote necklace made by The Locket Library. Good luck! I like going back in time and seeing how people lived, what they wore, and the etiquette was for those times. I like the romantic notions like titles and balls, the escapist fantasy, the slower/different pace of life, the layers and intrigue in the rules of society. The descriptions of men's fashions, especially the mysteries revealed when a man removes his cravat. While I love me some eye-candy, there's something to be said for leaving things to your imagination too. "What do you like the most about historical romance and why?" I enjoy the witty repartee, which reveals truths about human nature! I like being transported back to a time of chivalry and charm, often lacking in this day and age. I love how simple and beautiful they are and that they make me reminisce. J'aime les échanges pleins d'esprit et inspirés ! I love the setting and description of clothing and style of speech. I love the costumes, learning all about a different way of life, feeling as if I'm back in time. What do you like the most about historical romance and why? I love that I'm transported to another time. I like discovering how people lived and the things they did then. I love the slow-burn romance because it's more realistic and enjoyable to read. I love the language used. The courtship and issues involved are often so very different from current romance novels. The language that is used in them is now foreign to us but I like it alot. I enjoy reading about different cultures. Ive always loved reading historical romance books stories set in the victorian era especially. Men were very protective of their women,there was male chivalry women were starting to find their voice at last which was difficult in a male dominated world. I actually find them rather interesting because you can learn a lot about what life was like back in those times. I enjoy reading about the life in different times. I can lose myself in a different time and era. I like the scenery, the clothes etc. I love the different settings of historical romance...regency, gothic, early 1900's. Love the whole idea of the balls and the huge houses. The fact that men were gentlemen and used to hold doors open and walk at the roadside rather than the lady in case she got drenched. The idea of driving those lovely old cars (if a bit newer historical) or the horse and carriages and also the lovely names people give to their characters and places (if they are made up or real). Perfect escapism from the world of iphones etc. It's a fun way to learn about how things used to be. As is the case with so many things, there has always been love. In times past there was jealousy, betrayal, passion, lust, and so on... just like today. Love is timeless.